When disaster struck for Viswanathan Anand at the World Chess Championship in Sochi during Game 6, no one was watching… at least not the English commentary fans. There was a commercial break for a crucial 26th move by Black. World Champion Magnus Carlsen played 26.Kd2 which was a blunder and would have given Vishy Anand not only two pawns, but an edge in the match and possibly the title itself because of the psychological pressure the win would have exerted on Carlsen. It was not to be. 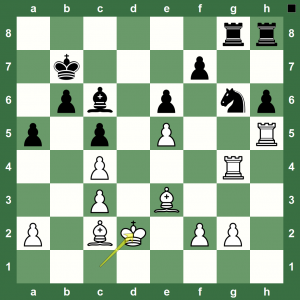 Anand, within a span of 60 seconds, played a pre-planned move and eventually crumbled to a loss. Read a game summary at Chess Blog. You can replay the game with Chess King below.